Fescue grass comes in a variety of individual species including fine, hard, red and tall fescue lawn grasses. All fescue species are cool season lawn grasses with deep, extensive root systems making them highly drought tolerant. Many fescue varieties are mixed with other cool-season lawn grasses that balance out deficiencies such as aesthetic appeal and a low tolerance for foot traffic. All fescue species become dormant and turn brown in the winter months. 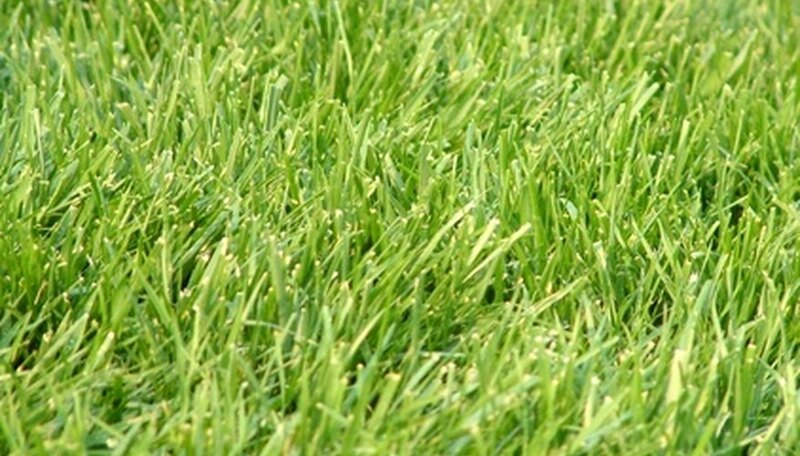 Fine fescue lawn grass is able to grow in windy, dry, cold and shady environments. This type of grass has a poor tolerance for heavy foot traffic and is valued more for its ease of establishment than the quality of the turfgrass. Fine fescue is common in the central and northern regions of the United States. Hard fescue is, as its name indicates, the hardest of the fescue lawn grasses. Shade, drought and disease resistant, hard fescue lawn grass typically grows at higher elevations in the northern United States. Hard fescue lawn grass is slow growing, requires low maintenance and has a poor tolerance for foot traffic. Hard fescue is the only fescue grass that is salt tolerant. Hard fescue is used extensively for non-mowed areas such as in parks, along roadsides and on slopes. Red fescue lawn grass has narrow, green blades with deep root systems. Red fescue grass is fast to establish in cool, shady, mountain environments with little or no fertilization, irrigation or mowing. Red fescue lawn grass is common in cool, mountainous, northern climates at camps and cabins where a low-maintenance grass is desired. Tall fescue lawn grass is commonly used on home lawns and other high-use areas because of its tolerance for heavy foot traffic. Tall fescue lawn grass, like other fescue varieties, is drought and shade tolerant. Tall fescue grass is fast growing and susceptible to lawn weeds. Pre-emergent herbicide use is recommended with this fescue grass.